CleanChain, an ADEC Innovation, helps you gain visibility and insights into the chemical use in your supply chain. It automates the complex tasks of tracking, managing and reporting compliance with Manufacturers Restricted Substance Lists (MRSLs). CleanChain helps to reduce costs and the administrative burden of collecting supply chain data. 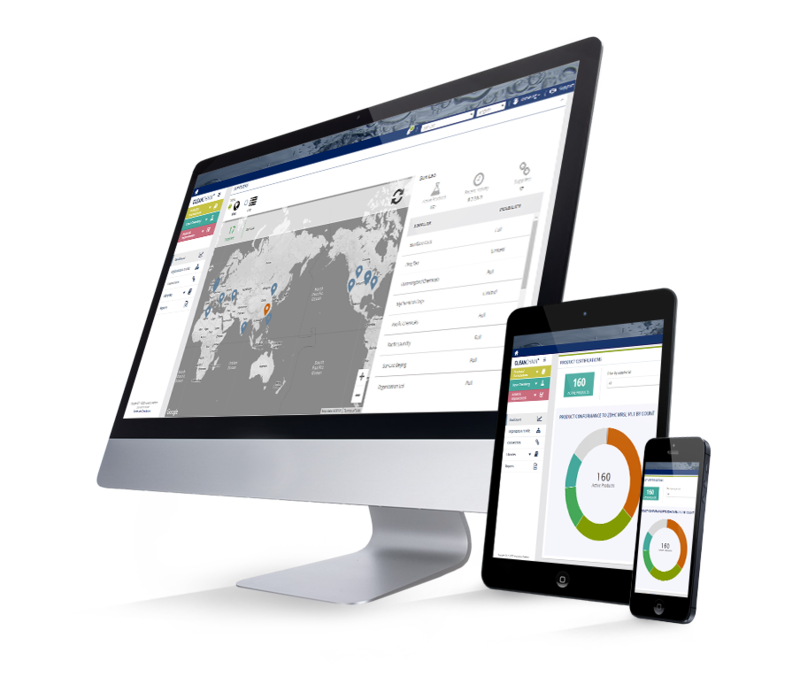 CleanChain helps you gather data from diverse and disparate sources, streamlines the chemical information management and reporting process, and empowers you to demonstrate transparency to stakeholders, all in one secure location. "Levi Strauss & Co. is committed to zero discharge of hazardous chemicals throughout our supply chain and to advancing good chemical management practices in the apparel industry. We look forward to leveraging CleanChain as an effective way to improve the transparency and chemistry used in the manufacturing of our products." 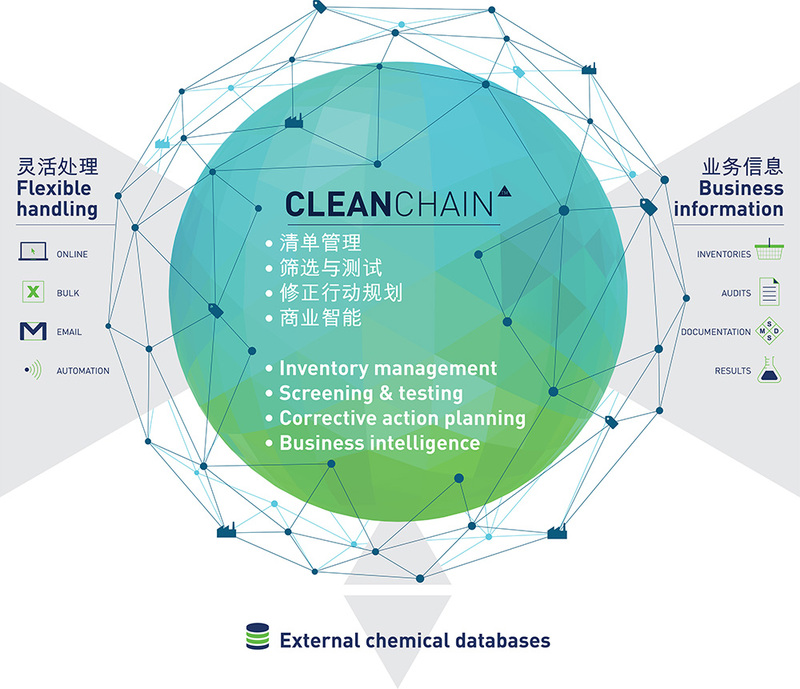 "CleanChain provides us with more visibility into our chemical inventory data and formulators, allowing us to better track, manage, and analyze our data and performance over time. It has saved us time and effort with our data collection and reporting, and it has had a positive impact on customer relationships, who are able to clearly and easily view and track our chemical conformance and information." "As part of the ADEC pilot of CleanChain, [our company] was able to get insights into the chemicals used in the manufacturing of our apparel that we did not have visibility into before. Not only did it improve relationships with our suppliers, it changed the nature of our conversation. Now we talk about how to find different chemicals that can be used in the process without compromising the quality of the product produced." "Since implementing CleanChain, we have transformed our inefficient and labor-intensive processes into a comprehensive system that helps us better understand and reduce risks, and reduced our manual burden and the associated costs of aggregating supply chain data. CleanChain is helping us create and strengthen the right partnerships in pursuit of safer products and processes."